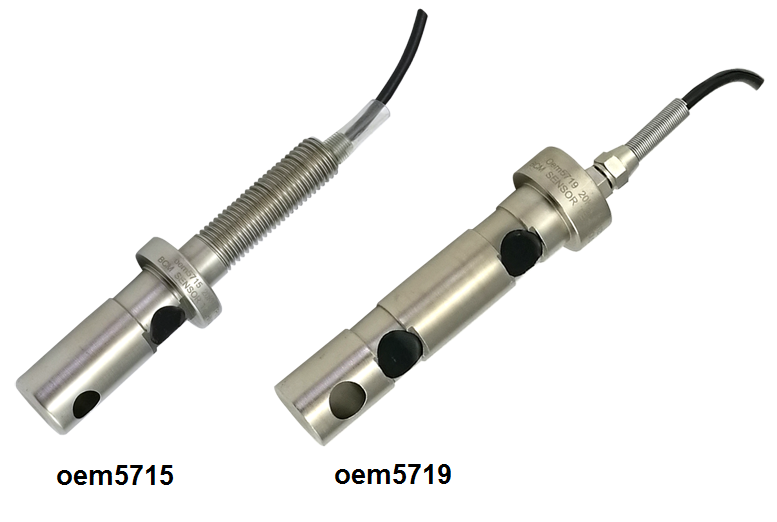 BCM SENSOR is specialized in customized design and solutions. Recently two types of OEM load pins have been successfully developed – oem5715 single-ended load pin and oem5719 double-ended load pin as shown in the picture below. These OEM load pins can have customized capacity, dimensions, loading position, or/and installation method to fit specific applications. For more information, please find the standard BCM SENSOR load pins via https://www.bcmsensor.com/product-category/load-cells/load-pins/, or contact us at sales@bcmsensor.com and +32-3-238 6469.